A symposium to reflect on the importance of wetlands to the daily life of people in Asia and to look into the progress and challenges in wetlands management and conservation. 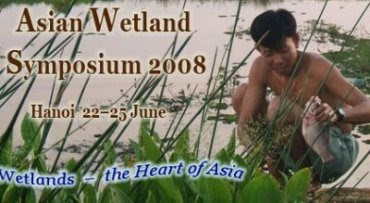 The themes of the Asian Wetland Symposium have been chosen to reflect these values. Select to view sessions. REMINDER: Abstract submissions and poster submissions are extended to Friday, March 14, 2008.